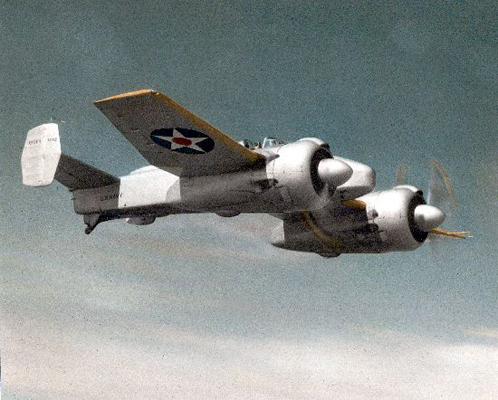 Grumman XF5F Skyrocket — oh what could have been! 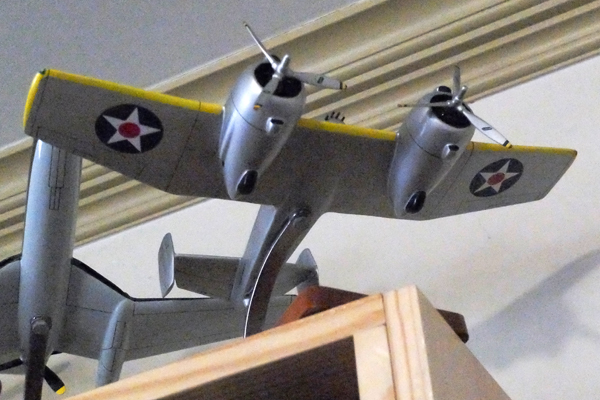 Recently we were reminded of this unconventional aircraft when visiting the Naval Air Station Ft. Lauderdale Museum — here is the review — where the wooden model of it is on display. 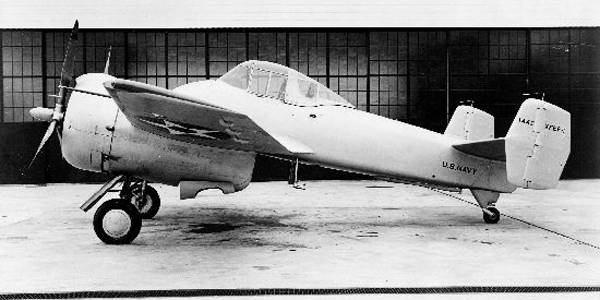 The 1940 XF5F Skyrocket was Grumman’s reply to the Navy’s request for a aircraft carrier borne interceptor possessing a high rate of climb and heavy armament. Being light in weight and powered by a pair of Wright XR-1820 Cyclone radial reciprocating engines had the Skyrocket live up to its name. A pair of 23mm Madsen cannon were the initial armament but modified to 4 x 0.50 inch (12.7mm) machine guns — heavy armament in 1940 but not later in WW II though they were nose mounted so they would have had greater effective range than wing mounted machine gun fighters. 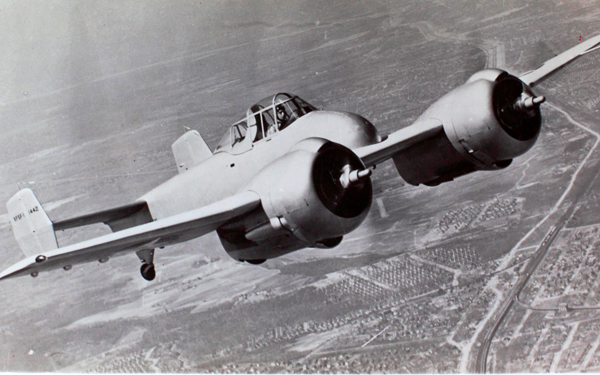 But the Skyrocket — with its wing-forward-of-the-fuselage-design — was not to be as production of the F4F Wildcat was considered to be the best decision from a logistical standpoint. The design effort contributed to the F7F Tigercat, however. One does have to wonder, though, since the Skyrocket easily pulled out accellarted the XF4U Corsair how it may have been a greater kamikaze interceptor than the F8F Bearcat?